Home›Bell Baker’s John Summers – Stop a Crime Against Humanity – What would his Mother think? Is Bell Baker's John Summers just a cog of another corrupt law firm of many that prostitute themselves to the highest bidder regardless of ethics and human decency? OR, is John Summers part of a Deep Conspiracy of a vast chain of command which includes dirty cops, lawyers and certain provincial court judges in Ottawa, Canada's capital? What is apparent is that Bell Baker's Mr Summers has prepared a fraudulent affidavit and has perpetrated abuse of court procedure and other techniques of deception that have been responsible for an elderly woman no longer being able to talk, walk and write in Ottawa. This Bell Baker lawyer has used those lies to deny her very son the ability to see his own Mom, and the ability of a battered and neglected Mom to see her own son - for much longer than over excrutiating 500 days now. John Summers has not only violated ethical standards which governs lawyers in the Province of Ontario; but has also violated our very principles of decency as human beings. John Summers' client who began abusing this poor elderly woman used to be a 'normal' human being until he began dabbling in demonic rituals. He then began to rant about 'aliens' visiting him in his dreams and the “extraterrestrial threat”. His personality began to change. He began to become disoriented; while losing a basic sense of "right and wrong". He then became violent. It was then that John Summers mysteriously came out of the woodwork to reveal a network and fraternity of apparent “fifth column” operatives whose allegiances appear to be anything but human – reminiscent of John Carpenter's film “They Live” and other such spectacles of that genre. John Summers shows us all, that a member of the legal profession in Ottawa is prepared to not only deny social justice to others but is also prepared to use lies to support a Crime Against Humanity. We, as human beings declare our commitment to empathy, social justice, freedoms and the due process of law which entitles a law-abiding son and a law-abiding mother to be able to see each other. We united against the actions of an aggressive abuser who has been responsible for assault, treachery and lies that have been embellished by Bell Baker's John Summers; ans also unite against the Office of Mr Summers' wilfull contempt of honour and integrity, along with the high esteem that we, as humans, have for our Mothers. In so doing, we, as humans beings, declare our sovereignty on our Planet Earth from whatever force that's alien to our very humanity that propels Bell Baker's John Summers and his network of co-conspirators to deny the inviolable right of a law-abiding Mother and son to see each other of their own volition. We call on our fellow human beings who support the rights of other human beings including that of a Mother and son who have not seen each other for nearly two years to not only economically boycott doing business with John Summers but also Bell Baker in general. We plea with all people who love their Mothers and who deplore the unethical and treacherous actions of John Summers to spread this message of an economic boycott; and our collective desire for the Law Society of Upper Canada to disbar John Summers for his role in a macabre scheme. The actions of Bell Baker's John Summers begs the question. What would his Mother think? Would John Summers and the rest of his colleagues liked to have been cut-off from seing their own Mother, having lost the ability to speak, write and talk at the hands of an abuser? It is apparent that lawyers like John Summers lack empathy and a sense of ethics and morality, and that such lawyers have no business practicing in the Province of Ontario or any other part of Canada which values civil rights and Motherhood itself. Is Bell Baker’s John Summers just a cog of another corrupt law firm of many that prostitute themselves to the highest bidder regardless of ethics and human decency? OR, is John Summers part of a Deep Conspiracy of a vast chain of command which includes dirty cops, lawyers and certain provincial court judges in Ottawa, Canada’s capital? What is apparent is that Bell Baker’s Mr Summers has prepared a fraudulent affidavit and has perpetrated abuse of court procedure and other techniques of deception that have been responsible for an elderly woman no longer being able to talk, walk and write in Ottawa. This Bell Baker lawyer has used those lies to deny her very son the ability to see his own Mom, and the ability of a battered and neglected Mom to see her own son – for much longer than over excrutiating 500 days now. John Summers’ client who began abusing this poor elderly woman used to be a ‘normal’ human being until he began dabbling in demonic rituals. He then began to rant about ‘aliens’ visiting him in his dreams and the “extraterrestrial threat”. His personality began to change. He began to become disoriented; while losing a basic sense of “right and wrong”. He then became violent. It was then that John Summers mysteriously came out of the woodwork to reveal a network and fraternity of apparent “fifth column” operatives whose allegiances appear to be anything but human – reminiscent of John Carpenter’s film “They Live” and other such spectacles of that genre. 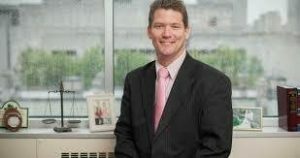 We united against the actions of an aggressive abuser who has been responsible for assault, treachery and lies that have been embellished by Bell Baker’s John Summers; ans also unite against the Office of Mr Summers’ wilfull contempt of honour and integrity, along with the high esteem that we, as humans, have for our Mothers. In so doing, we, as humans beings, declare our sovereignty on our Planet Earth from whatever force that’s alien to our very humanity that propels Bell Baker’s John Summers and his network of co-conspirators to deny the inviolable right of a law-abiding Mother and son to see each other of their own volition. The actions of Bell Baker’s John Summers begs the question. What would his Mother think? Would John Summers and the rest of his colleagues liked to have been cut-off from seing their own Mother, having lost the ability to speak, write and talk at the hands of an abuser?